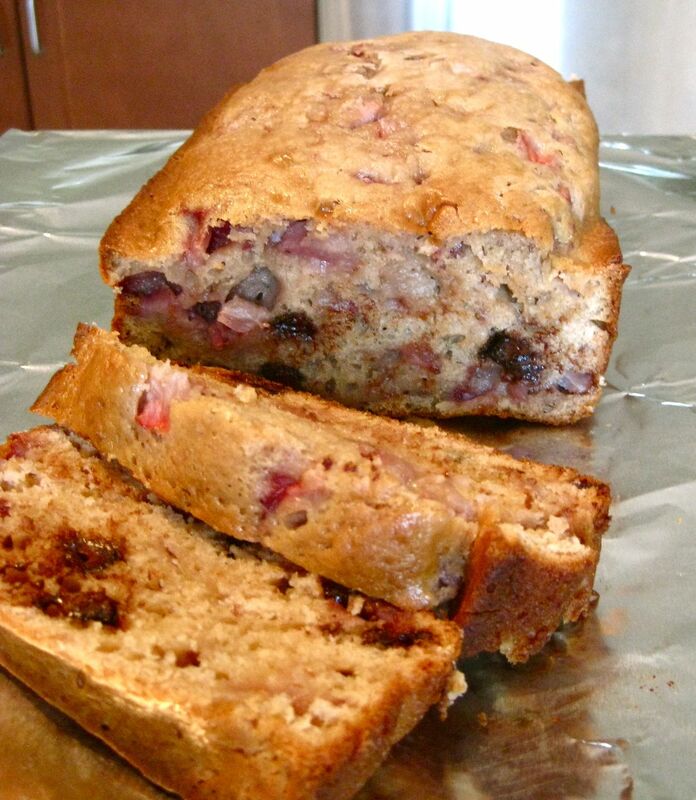 I came across a Strawberry Bread recipe to which I would typically say, "Hmm...next." But Costco had beautiful strawberries in stock this past week so I picked up a big thing of them, but a house of two simply cannot finish that many strawberries before they mold. So, this time I didn't shrug off the recipe and thought, "Hmm...why not?" So here is my very first attempt at strawberry bread! As always, I have to be the risk-taker and tweak a few things to my liking so there was a good chance this could be a major fail, but I loved the way it turned out! Not only is it healthy (No butter/oil!) but it tasted like chocolate covered strawberries...hence the name! 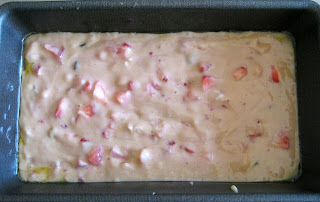 Preheat oven to 350 deg F. Spray loaf pan with non-stick spray. 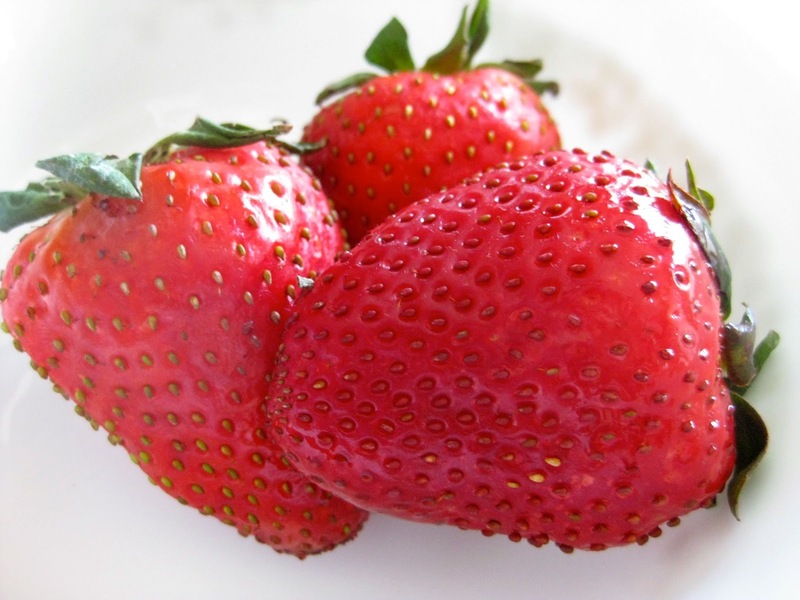 Dice the strawberries. The smaller the better so they won't sink to the bottom of the batter. Place them in a small bowl and sprinkle the few extra tablespoons of white sugar on top and set it aside. In a large mixing bowl, mix the flour, sugars, salt, baking soda and cinnamon. Mix well. 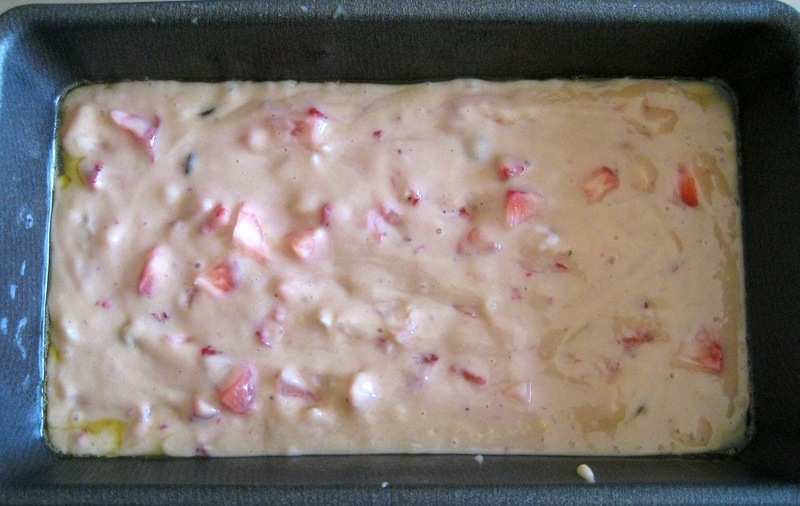 Add the yogurt and eggs and most of the strawberries (leave some to sprinkle on top in case the strawberries sink). Mix with a mixer until everything is incorporated. Add the chocolate chips and fold them into the batter. Let the bread cool in the pan for 10 minutes and then turn the pan to remove the bread and let it cool completely...or enjoy while warm...my favorite!